Charles' trip into Mad Dog country powerfully illustrates the strength of the conflicting demands he is now confronted by — one the one side stand his hopes for reconstruction and revival, and, on the other, his personal commitments to those close to him, not least to Jenny and those that have accompanied him from Whitecross. Charles is becoming increasingly torn between his "sense of mission" and his natural concern for others — a conflict which, in the events of Mad Dog, will see Charles put his own life in jeopardy. Enthused to the point of obsession by the drive to rebuild a network of trading communities, Charles is desperate to encourage each and every social and economic development he encounters. He is determined to reunite with Greg Preston, in part to satisfy Jenny, but mainly because their joint efforts at reconstruction will be strengthened by co-ordination. At the same time, his profound sense of personal obligation to others is reflected in his trip to hunt down Tom Walters. He is willing to put his plans on hold and to make a risky solo trip to find him, while the remainder of his party wait back at the Walters' settlement. And yet, his desire to find the family's eldest son is also driven by the desire to prevent the collapse of the Walters' farm, and to free his party to continue their wider quest. Charles has met many obstacles to his plans for reconstruction, but until his encounter with Fenton has not shared the company of anyone determined to ridicule and belittle his plans for their own amusement. More used to being praised by those impressed by his sense of vision, Charles finds the experience profoundly uncomfortable. When he declares to Fenton that he wishes they had never met, he is almost certainly being entirely, and characteristically, honest. And yet, ironically, and unusually for Charles, this is an episode in which he is repeatedly dishonest to those he encounters. In an attempt to engage Fenton's enthusiasm, he certainly oversells the importance of the records that Fenton has kept. Charles knows full-well that these represent nothing like "a record of half a nation", however important they might be in extending his knowledge base and list of potential allies. When Fenton first falls ill, Charles exhibits genuine concern at his plight. Yet as the reality of Fenton's condition becomes clearer, he exhibits his own more mercenary, even callous, streak. The next morning, Charles tries to hide from Fenton the awful reality of his illness, pretending — and not for Fenton's sake — that the two of them will be able to reach his house, despite Fenton's fever, so keen is he to access Fenton's notebooks. A pivotal moment comes when Charles prepares the horses for the journey on to Fenton's home. Aware of the fate awaiting him, Fenton has pleaded with Charles to fetch him his rifle, so that he can put himself out of his own misery. As Charles stands by his mount, his eyes fall on the rifle, and for a moment he considers the doomed man's desperate request — until Fenton's escape from the house interrupts his reverie. Tying him up, Charles decides that Fenton must be kept alive — at least until his records have been recovered. Charles' trip to discover Sanders and Jim is driven not from a desire to save Fenton, something he knows is probably hopeless, but in the hope of locating his house, and the notebooks. He then deliberately misrepresents Fenton's condition to Sanders and Jim, despite the dangers for all involved. When he says to Jim that the records contain information "about a friend", he again reveals only part of the story. 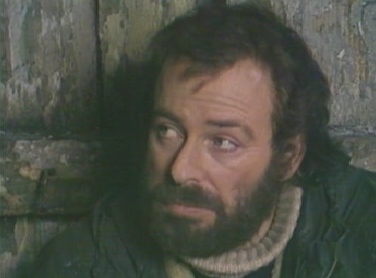 Charles is prepared to risk Sanders and Jim's lives, placing them in danger, in order to discover the contents of Fenton's notes. He is visibly shocked by Fenton's execution, and — for all his fierce intelligence — had not foreseen the risky consequences of involving Sanders and Jim in his plans. When he decides to flee to save his life, it is Sanders who is being coldly logical, and Charles who is willing to risk everything to save his own life. After Fenton's death, Charles lies again to Sanders about his own exposure to the dog pack, to protect himself. Once he flees, he hides the truth from everyone he encounters (even Ellen at first) — and becomes a thief, a trespasser, a burglar and a stowaway. Even to the train community who nurse him back to health, he shields the true story of his experiences. Although Charles' motivations remain laudable, here he is willing to twist the truth, at first to draw out the information he needs from Fenton, and secondly to protect himself when his own dogged foolhardiness places him in danger. In the chase that follows it is Charles determination to survive that drives him on. Resilient, determined and committed — Charles overcomes numerous threats, until exhausted he submits, as Fenton predicted he would, to the inevitable. Charles is fortunate that he is discovered before he dies from exposure, and that he is rescued by someone as compassionate and level-headed as Ellen. He is grateful for the trust and care she affords him, and appears genuine in his promise to return in the future.